I love getting my monthly Bellaboxes! It's like a little monthly surprise gift for myself haha. 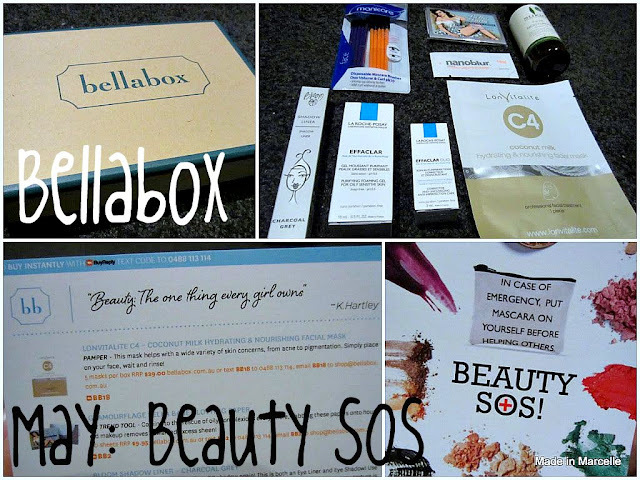 I received my May Bellabox late last week and this month's theme is "Beauty SOS" which I desperately need as exams are coming up and my skin could use some extra lovin'. So let's have a look at what I got this month. A shadow...liner?? I was a little confused. But the description on the postcard explains clearly for people like me, that it can be used as both an eye liner and an eye shadow. I had to swatch it and see for myself straight away. A quick swatch on my hand with both the thin side and thick side. It is shimmery and pigmentation is good. I wish I got a brighter colour though. 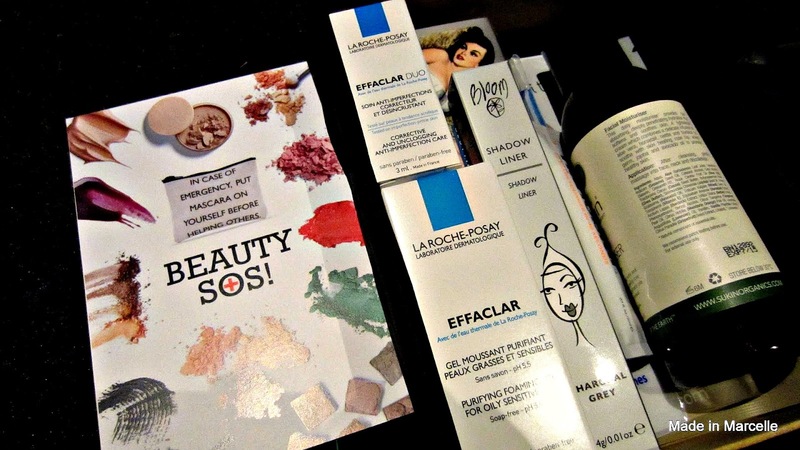 I am personally very excited to try these La Roche Posay Effaclar products after reading the descriptions. I have never heard of this brand, but it says these two products help to remove excess oil & blockages and unclogs sebum-blocked pores which sounds just like the thing I need. This was a bonus product that can be applied before or after your makeup to make skin look "perfect". I will try this out when I get a chance to put on heavy makeup and see how I go. Overall I am generally happy with this month's Bellabox. 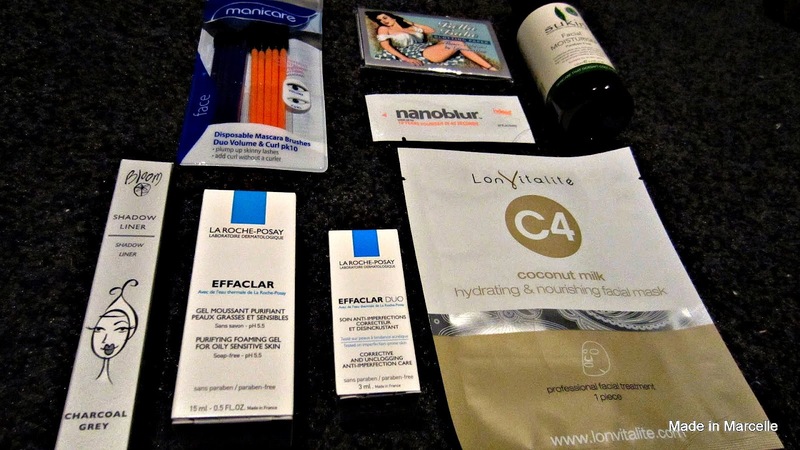 I am glad they included mostly skin care products and especially those for excess oil and pores. I am not excited about the blotting paper or the mascara brushes though. I guess I'll utilise the mascara brushes whenever I need to use my mascara on others, but I doubt I will need it anytime soon. What did you guys receive in this month's Bellabox?